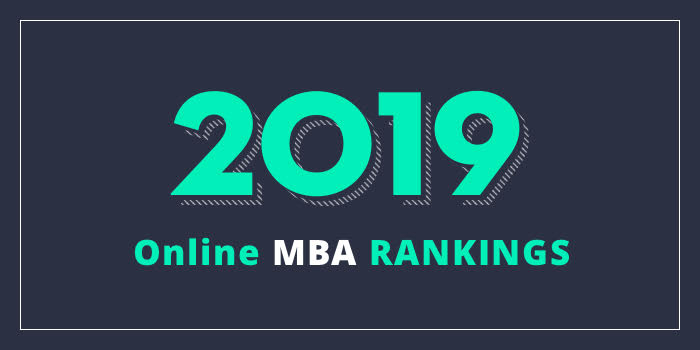 Our 2019 rankings of the Top Online MBA Programs in Arizona. For an explanation of ranking criteria, click here. The W.P. Carey School of Business at Arizona State University offers a flexible online MBA that includes just one meeting at the beginning of the program. This mandatory orientation session allows students to meet W.P. Carey faculty, staff, students, and teammates. After orientation, coursework for the 36 credit hour program may be completed entirely online. This competitive AACSB-accredited program consists of 49 total credit hours (17 classes) and students are allowed to take just one course at a time (five weeks per course). Students also have the opportunity to customize their MBA by declaring an area of emphasis in Finance, International Business, Marketing, or Supply Chain Management. Other program highlights include the opportunity to interact with teammates in case-based projects, an inclusive online environment, and the option to earn two degrees in less time and at a lower cost. Concurrent online degree options include the MBA/MSE in Electrical Engineering, the MBA/Master of Legal Studies, and the MBA/MS in Industrial Engineering. Students in both the both the single and dual online MBA programs have the option to start January or August. The Eller College of Management at the University of Arizona offers a 100% online MBA that may be completed in as few as 14 months. With six starts per year (every eight weeks), the program requires 14 core two-unit courses and 17 units of electives for a total of 45 units to graduate. Six concentrations are available including Entrepreneurship, Health Care, Finance, Management and Organizations, Management Information Systems, and Marketing. Also known as the OMBA, the Eller Online MBA highlights 24/7 asynchronous delivery of content that minimizes students’ time away from work and family, the option to decide how many courses to take at a time (take up to six years to complete the program), and AACSB accreditation. Thunderbird School of Global Management is a unit of the Arizona State University Knowledge Enterprise (ASU Knowledge Enterprise). The school has two unique MBA options including the Online Master of Global Management (OMGM) and the Dual Online MBA with Indiana University. The AACSB-accredited OMGM program is delivered in a flexible format that allows students to complete coursework 100% online asynchronously, and meet and network with their cohort in person at the beginning the program. Students will also join their classmates for an experiential practicum abroad. The program has two tracks” the five-semester track, which takes 20 months to complete, and the seven-semester track, which takes 28 months to complete. Students can expect to spend 25-30 hours of study per week, while taking 2-3 courses simultaneously per session for the five-week track. Students in the seven-week track will take 1-2 courses, simultaneously, per session, and the time commitment is 20-25 hours per week. Students in both tracks may enhance their degree and “boost their marketability” with a graduate certificate in a “distinct global business focus area,” says the school. Just a few options include Global Affairs, Global Digital Transformation, Global Entrepreneurship, and Global Sustainability (with the School of Sustainability). The AACSB-accredited Dual Online MBA with Indiana University is a 28-month program that highlights web-based delivery with seminars on each campus and abroad. Applicants to the program must have at least two years of experience and the program begins in August of each year.